← Should We Stop Swearing? When I first started recording audiobooks, every book was a combination of thrill and anxiety. I got the book — thrill. I’d pre-read the book — anxiety — more characters than I realized. I’d make up character voices — thrill. I’d worry they might be off — anxiety. Any worries I had up to that point would begin to fade. I’d head to the kitchen, grab water and a hot cup of tea, and head up the carpeted stairs, past all the framed audiobook awards, to my silent recording booth. Bob would come in, mock me for being short, lower the mike to my height, then have me say a few lines to check recording levels. Once I settled into the comfy leather chair, Bob encouraged me to sit back, relax and just enjoy telling the story. A story that was always better with him in the director’s chair. 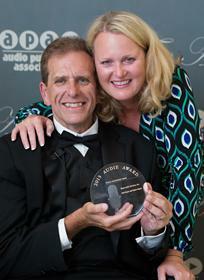 Bob and Debra holding the Lifetime Achievement Award from the Audio Publishers Association. End a chapter with finality. Anger doesn’t have to be loud — quietly sinister works just fine. There were times when I’d be reading a really sexual part of a book, and we’d both simultaneously burst into uncontrollable laughter. I have no idea how two mental seventh graders like us ever finished a book. There’s no stopping a director. This heartbreaking photo was taken by Roman Cho, an amazing photographer. And even as the illness progressed, Bob let them hook him up to every apparatus, so he could live out whatever days he had left. 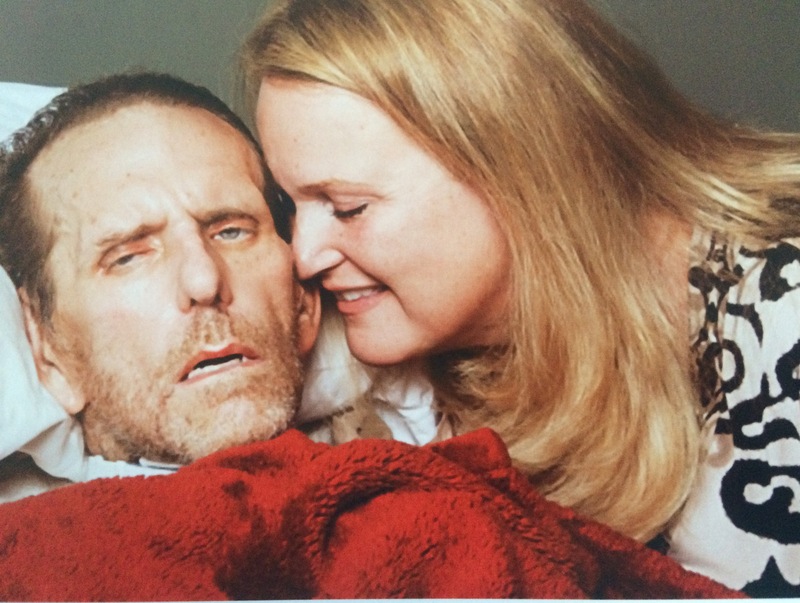 He said he wanted people to see the face of ALS, a face captured by photographer, Roman Cho, in a heartbreaking photo I’ll never forget. After Bob passed away last August, a lot of people ran out of steam. “He’s gone now, what difference will it make whether we raise money or not?” That’s something I’ve heard a lot and even felt myself. But here’s why we have to. 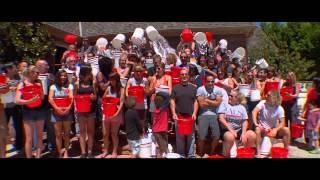 The Billion for Bob 2014 Ice Bucket Challenge. #2. Someone, somewhere, just as sweet as Bob, is going to be told today that he or she has ALS and 7,000 people will die from it this year. #3. The Washington Post says researchers studying ALS are crediting last year’s donations of over $220 million, and massive public interest in the disease, with fueling breakthroughs in research. Bob wanted us to raise a billion dollars. That may be what it takes to find a cure, or maybe Bob was just an overachiever. Either way, we have to do it because I have no doubt his spirit is watching each of us to see if we follow through on his direction. I’m not about to let him down. Please click on this link to buy tickets to our concert fundraiser next Friday , September 18th from 7 to 9 p.m. at Deyan Audio, in Northridge, California. Bill Cantos and Mari Falcone will thrill us with their incredible music. There will be great food and yummy baked goods donated by yours truly. Please cancel whatever plans you have and come! Tickets are only $50 and all proceeds go to ALS. If you can’t come because you live far away, then please donate. Here is a link to the donation page. Scroll down and you’ll see where to click and donate. You can donate under my name, Fran Tunno Mills, or any name. Also, if you’re an audiobook reader and want to learn inside tips, here’s a link to an Audiobook Webinar Fundraiser on September 24th, featuring, the amazing Scott Brick, Debra Deyan, Julie Williams, Claudia Howard of Recorded Books and Paul Gagne of Weston Woods, all top names in audiobooks. 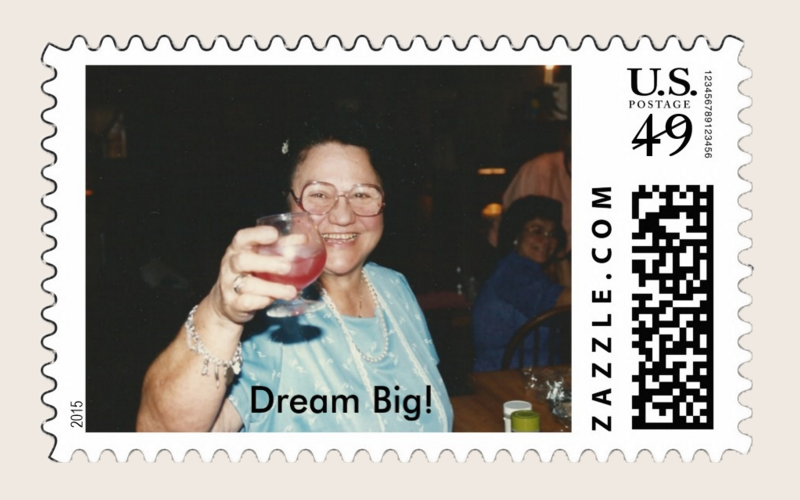 It’s only $50.00, you’ll learn from the best in the business, and your donation will go to the Bob Deyan ALS Nurse Fund, (which Debra started) to help pay for the nursing care ALS patients so desperately need. It’s win/win! Donations of any amount are very much appreciated and DO make a difference, so please do what you can, so we can raise Bob’s billion and leave ALS in the dust. Thank you for your awesome support and for always reading! Next post, I’ll fill you in on how my no swearing effort is coming along. Let’s just say it’s been a challenge. This entry was posted in Uncategorized and tagged ALS, ALS Fundraiser, ALS Nurses Fund, ALS researchers, Audiobook fundraiser, Audiobooks, Bill Cantos, Billion for Bob, Bob Deyan, Bob Deyan Fundraiser, Claudia Howard, Debra Deyan, Deyan Audio, Julie Williams, Meri Falcone, Paul Gagne, roman Cho, Roman Cho Photography, Scott Brick, Washington Post. Bookmark the permalink. Great post Fran! Bob is worth a billion! Thank you Linda, I think so too! Thanks for taking the time to read and comment! I donated, Fran. Every little bit helps. Good luck on the walk! Thanks Mary, every little bit DOES help and your contribution is every bit as important as any others. Thank you! i so love and miss my Pal…. What a privilege to learn from and be directed by Bob Deyan! Thank you for this, Fran. i know that the “Billion for Bob” will one day come to pass. Just wish i were in a better position to give these days….. Thanks Matilda, for always reading and taking the time to respond. I hope that day does come to pass. I understand about the giving part! It’s not easy these days. We all just do what we can. I wish I could be in Northridge, but the commute from Idaho is too long. But, I followed the donation link and put my small drop in your bucket. Still crying, Fran. Beautiful. Thank you Linda. He was a great guy with a great spirit, which I believe is still very much alive. We all miss him terribly. Thanks for reading and donating! Bob is loving this post from above, Fran. Well done (as always)! Love you Nicol, as always. Thank you!